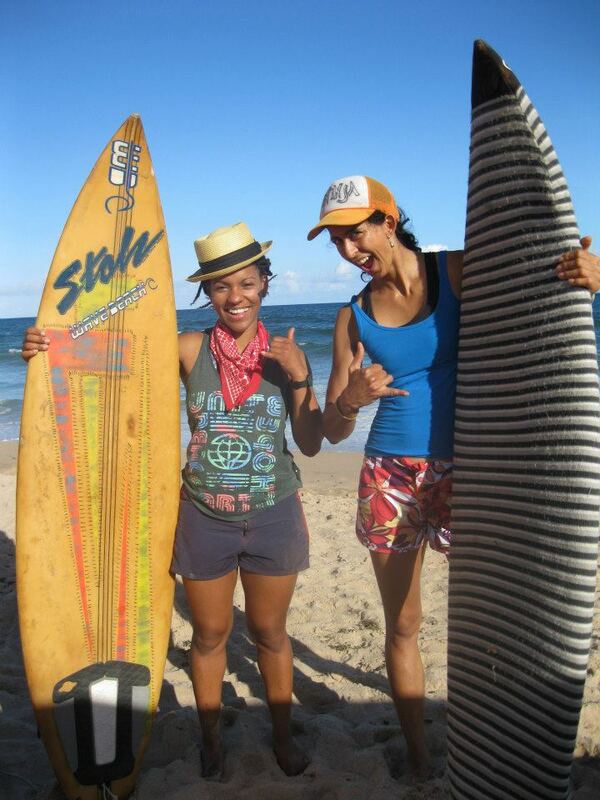 Uncategorized | Surfer Grrrls Brazil! AND I am THRILLED to be able to advertise it, with this AMAZING postcard, created for me by my wondrous friend Cat Byun. Her art is amazing, and I think it would be awesome if we could see it everywhere, so please check her out! Life has been pretty exciting the last few months! I wrapped up some of the work I’d been doing with the Green Guard intergenerational environmental hip hop collaboration I started this Spring, I went surfing in Hawaii, and I have had opportunities to share the work I’ve been doing around surfing, environment, hip hop, and healing at Yale University and the Bioneers conference in California. 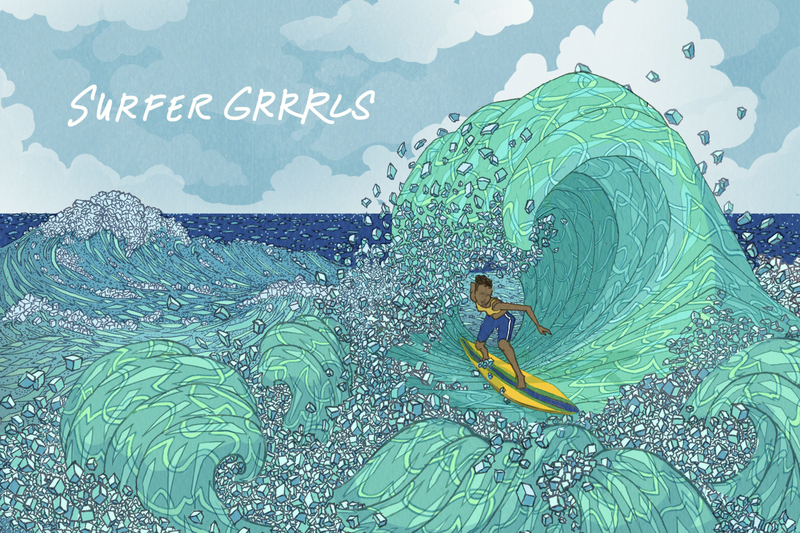 I’ve been teaching surf lessons through Brown Girl Surf, and I’ve also started up a new Brown Girl Surf Ocean program with Girls 2000, an afterschool program for girls in the Hunters Point neighborhood of San Francisco. 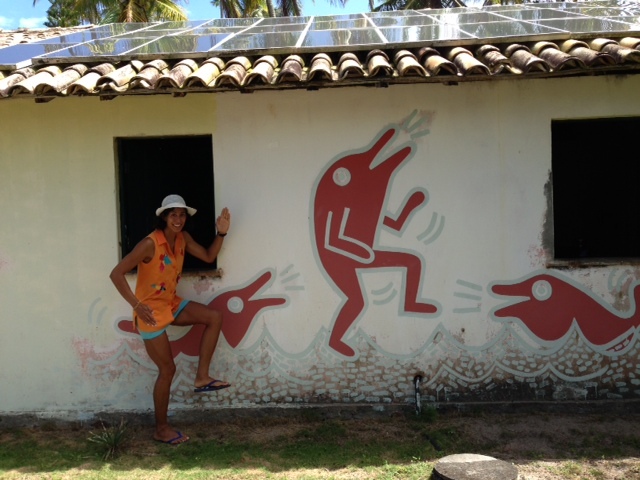 The adventure began through Surfer Grrrls Brazil continues, with new opportunities to make friends, share my love of the ocean through music and teaching, and build the community of powerful surfer grrrls here at home! 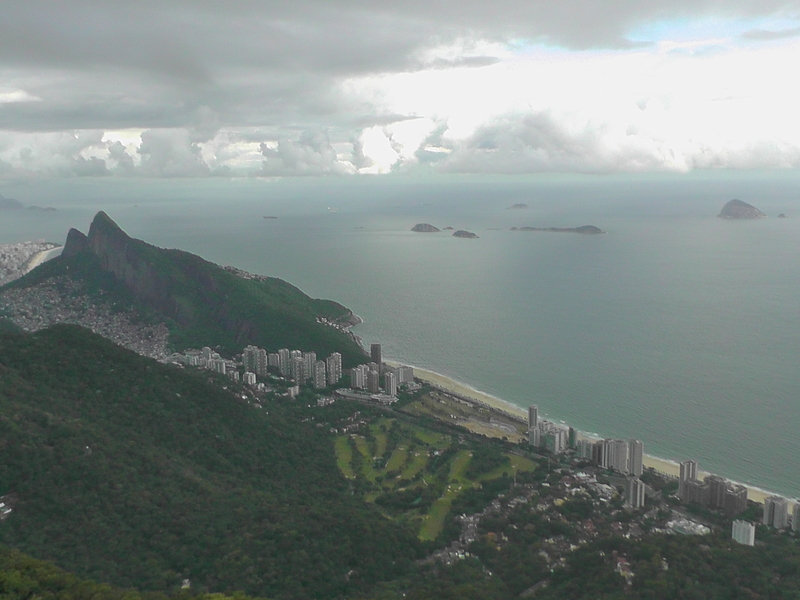 My new digs in Rio: Rocinha!!! 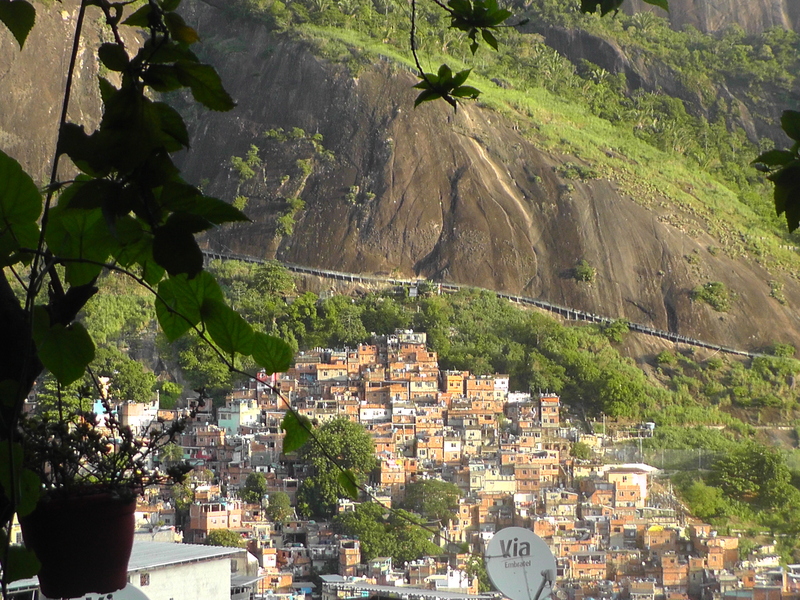 The view across Rocinha, walking down from my house. 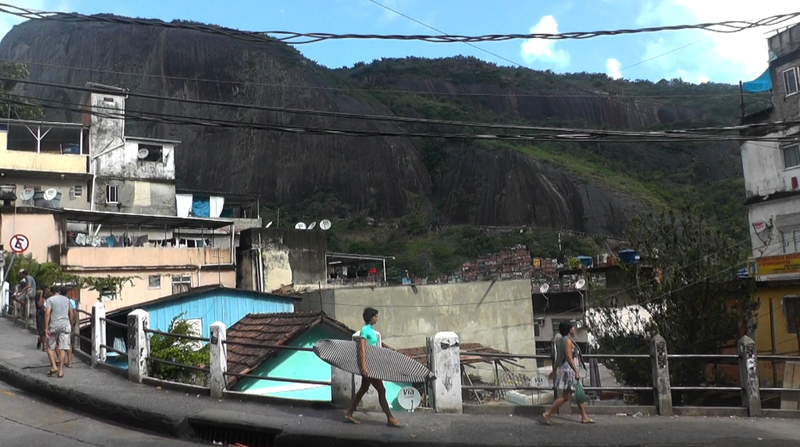 I recently moved my accommodations from my friend Andrew’s floor to Rocinha, the largest favela in Rio de Janeiro, nestled on the steep mountain sides around the great rain forest-covered monolith, Dos Irmãos. 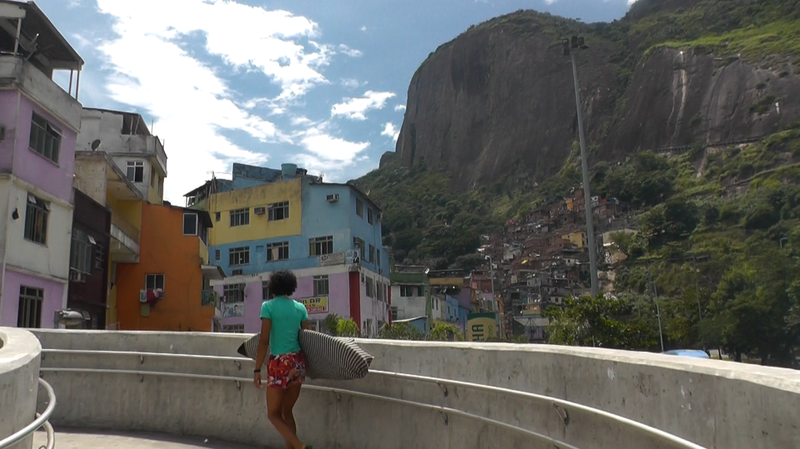 I came here because I had contacts with the Rocinha Surf School, which doubles as a mini community center for local kids. Since the moment I arrived, I have LOVED IT. It is one of the most vibrant and exciting places I have ever lived. I don’t remember feeling this way about a neighborhood since living in Fort Green, Brooklyn. Every time I step out of the door, I am surrounded by life- music, card games, business transactions, budding romances, arguments. 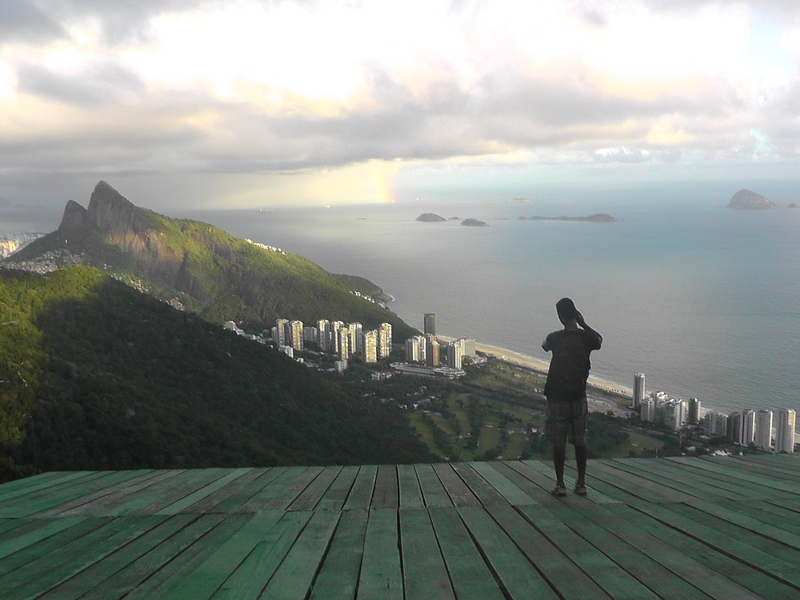 Because Brazilian people tend to be really friendly, I have many serendipitous conversations each day. e very few official streets, just endless labyrinths of sidelanes, and walking paths. You can’t feel hemmed in or too claustrophobic though, because every 20 meters or so, you are afforded a sweeping view of the valley and the majestic Dos Irmãos mountain. 2:30 am on many nights, I am privy to a loud love conversation/argument conducted by an older man who comes and shouts at the window of his ex-girlfriend, who appears to be spurning him. Ancient old rainforest remnant trees stand in the middle of impossibly small lanes, and every evening the sky fills with kites, flown by just about every little kid from every rooftop, corner, and balcony window. 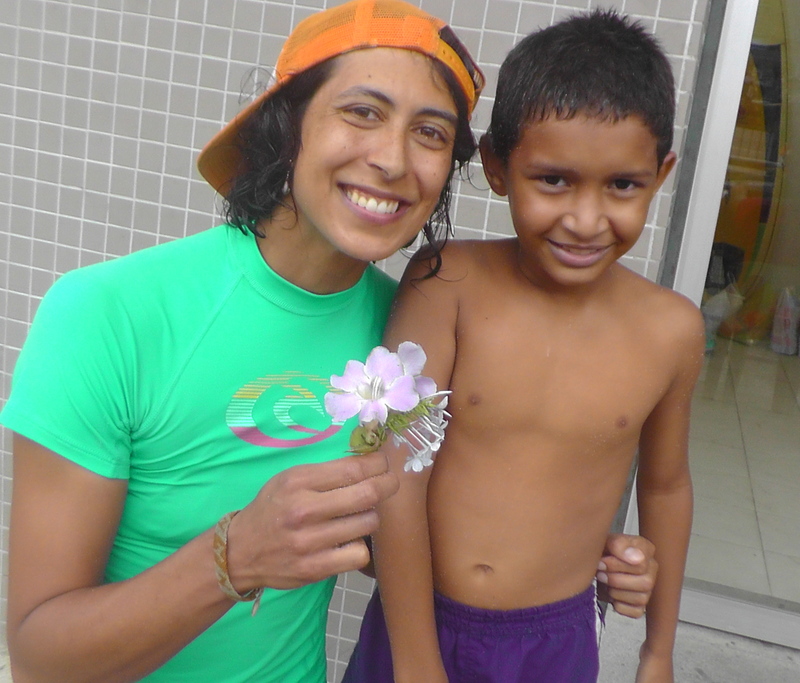 organizes English classes, music classes, and other enrichment activities for the kids nearly every evening of the week and has regular surf lessons during the school year. boards, shredding on short boards. The teenagers make out under beach umbrellas while the little kids bury each other in the sand. I am impressed by how self-sufficient they are, in often very rough water, with little to no adult super vision. I have been catching small waves in really crowded waters, occasionally colliding with little kids flying out of nowhere on boogie boards. My first day at the surf school, I rapped for the kids while one of them played a beat on a drum that was just lying around. 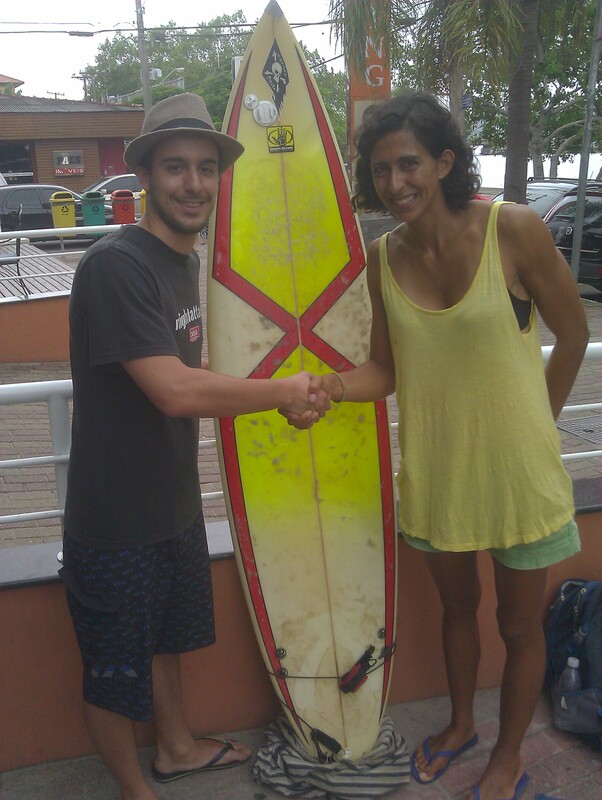 Afterwards, they took turns making their own verses about surfing at São Conrado, with two girls leading the charge. 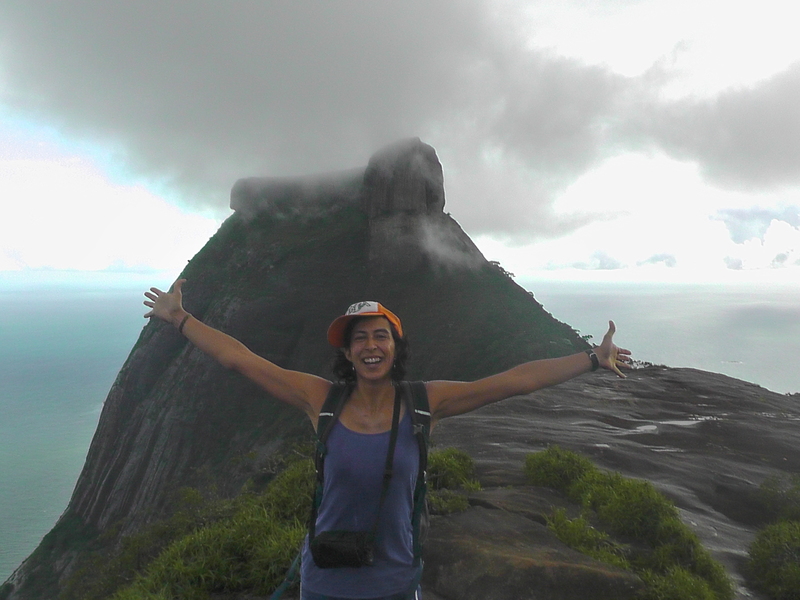 Life in Rocinha is definitely off to a good start!